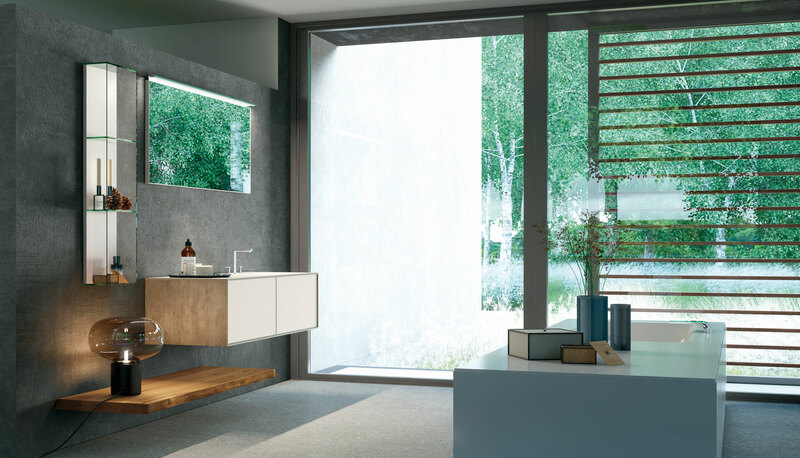 This arrangement with a base unit with two oversize, push-to-open drawers in white lacquer, an open wall unit with a glass frame and a white back panel and solid oak shelf has a Scandinavian appeal to it. Not only does the natural appeal of the massive, solid wood shelf add warmth to the arrangement, it also becomes a useful showcase surface. 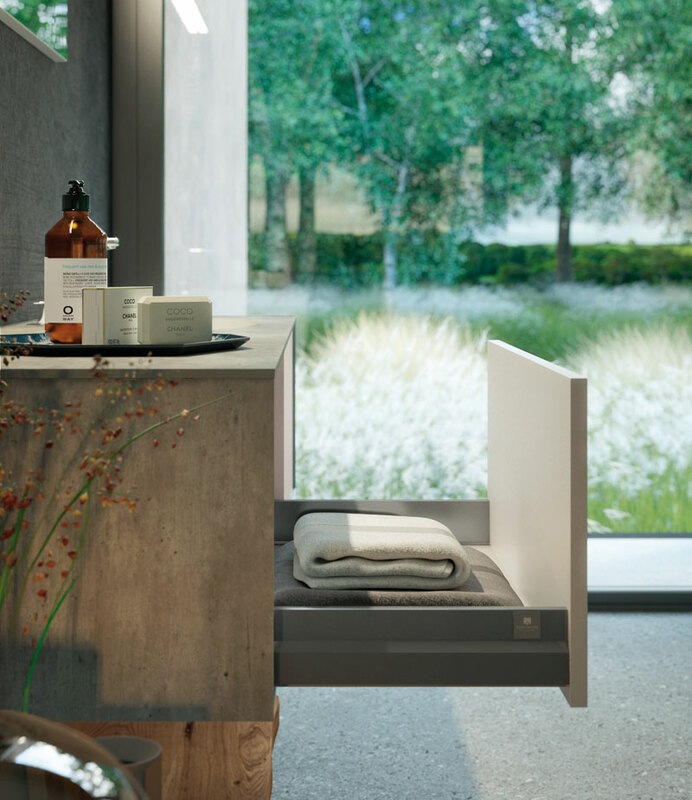 The profiles of this composition are made Ocritech® coated with Beton laminate, a mix of advanced materials that gives the whole a unique character. 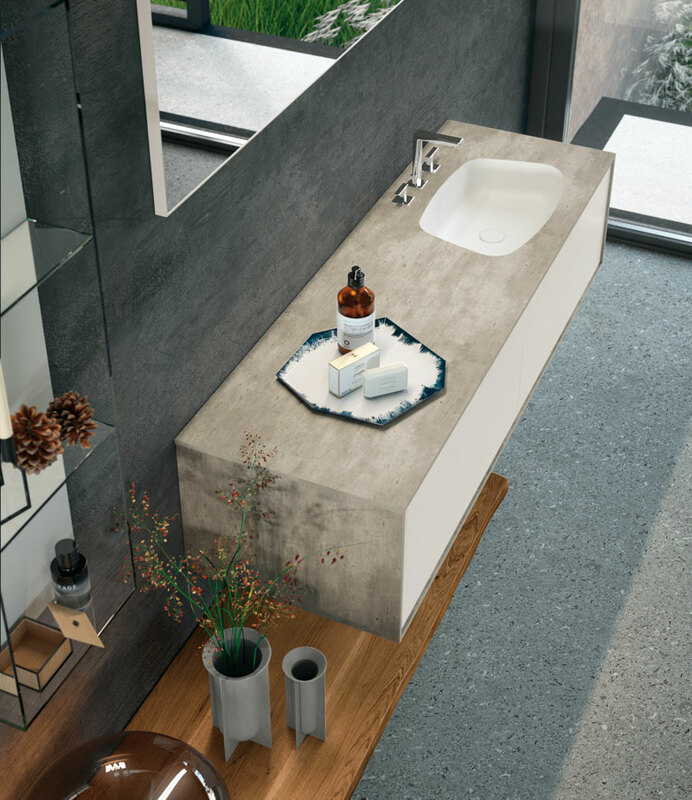 The effect of the integrated basin which is combined with the materic surface is a real first for the market.